Bacchanal is soliciting student suggestions for this spring concert’s act in good faith. Accordingly, Bwog is temporarily dropping its normal stance of professionalism and integrity, and standing up for its passionate and biased convictions. So here it is. Bacchanal E-board: please invite U-KISS to perform at Bacchanal! Columbia students deserve to dance to the hot beats and infectious rhythms of U-KISS. Inviting U-KISS to campus keeps with Columbia’s identity as a global university, and would establish critical inroads with the South Koreans if PrezBo ever wanted to grace the Korean Peninsula with a prized global center. 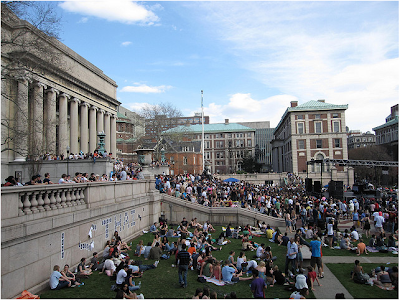 Columbia has a special spot in its heart for U-KISS, and U-KISS fans (KISSmes) have a spot in theirs for Columbia. Sign our petition, because that’s how things are done now a’days. Tweet with the hashtag #KISSmeNYC. KISSmes, we know you’re reading, and we want your help, too!